Please join friends, families, neighbors, and fellow city dwellers for this live parade of life on the Jaarbeursplein in Utrecht on Saturday 15 September, 2018, from 13 hrs onward! In What Is the City but the People?, around 150 people of Utrecht gather together to create a collective, dynamic self-portrait of the city. 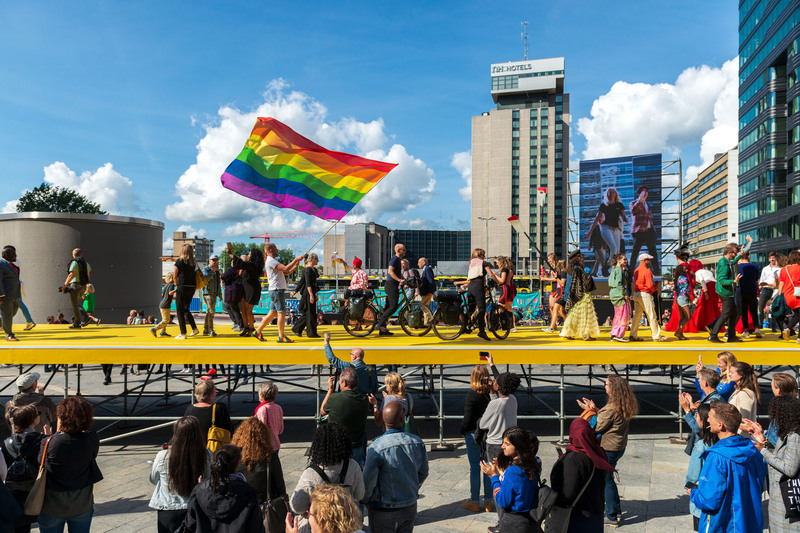 An unexpected and exciting medley of individuals and groups from across the city tell their stories as they walk the runway raised on the newly opened Jaarbeursplein. From an ice cream seller to a university worker, from a skateboarder to a bell ringer, from a refugee to a student, a drag queen, a rebel politician, an artist, and the mayor: the diverse characters present themselves both as individuals and as members of the city community. Together they uncover what really makes the city: not so much its spectacular architecture or sweeping historical events, but rather the people’s struggles and joys in their everyday lives. Through sharing these stories, and entwining them with the narratives of others, What Is the City but the People? makes a claim to the city as a collective public space. The participating residents have responded to an open call, which was followed by interviews by script-writer Babah Tarawally as well as a photoshoot by photographer Marieke Wijntjes. During the runway event, these stories and images are presented on the large screens erected on either side of the runway. The runway presentation is accompanied by live music, composed for this occasion by the young Utrecht composer Joram Kroon, who is assisted by local musicians. The all-Utrecht creative team has worked closely with Richard Gregory, the director of the project’s premiere iteration at the Manchester International Festival in 2017. What Is the City but the People? 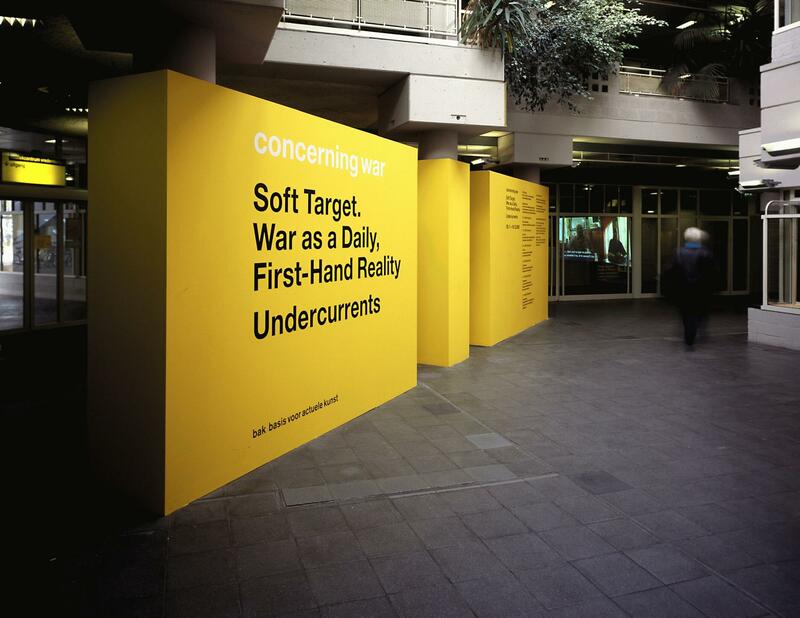 is created by the people of Utrecht and directed by Richard Gregory, from an idea by artist Jeremy Deller. 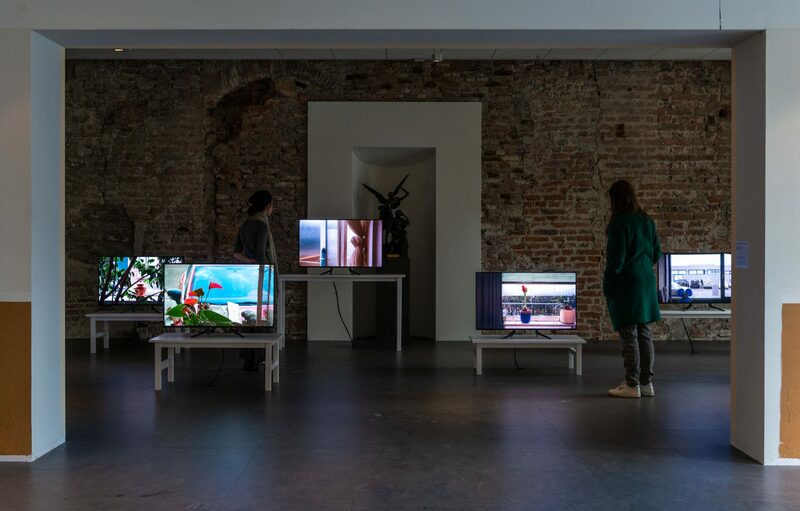 The Utrecht edition is organized by BAK, basis voor actuele kunst, Utrecht in collaboration with Centraal Museum Utrecht and SPRING Performing Arts Festival, Utrecht. Further support is provided by Utrecht based organizations CU2030 Utrecht, DOX, and Utrecht Marketing – Cultural Sundays. 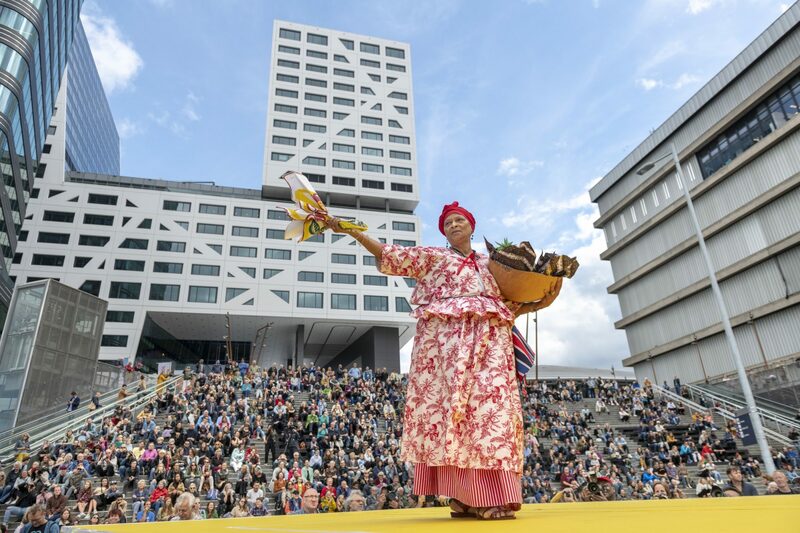 The realization of this project has been made possible through financial contributions by the Dutch Ministry of Education, Culture and Science, the City Council of Utrecht, the K.F. Hein Fund, Utrecht, Beatrix Theater, Utrecht, and Jaarbeurs, Utrecht. Special thanks to Randstad, RTV Utrecht, The Sting, and Stranded FM, Utrecht. Originally commissioned and produced by Manchester International Festival in July 2017.